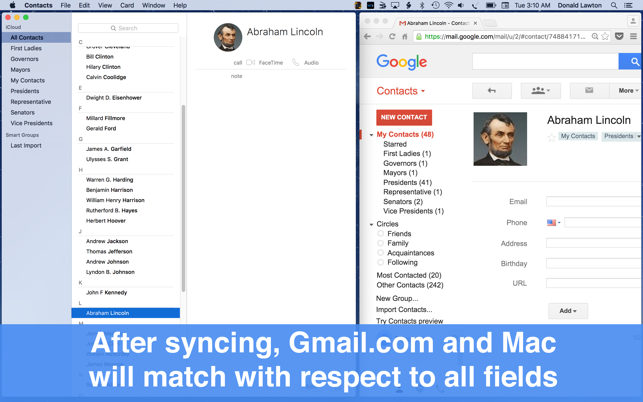 With Synctastic, you can quickly & easily sync your Gmail & Mac contacts so that you can have access to your contacts wherever you go. 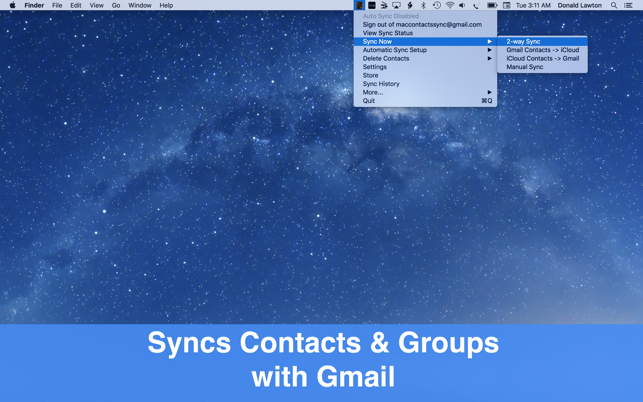 This app distinguishes itself with its reliability, ease of use, speed, and with a true "2-way sync" that merges changes made to both your Gmail & Mac contacts. 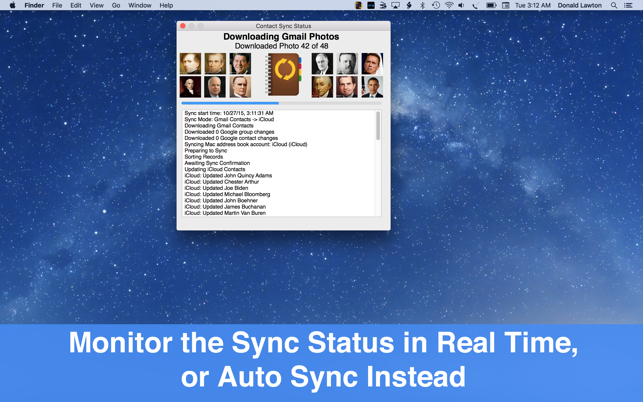 This is the #1 app for syncing Gmail contacts with Mac both in terms of downloads & reviews. Charges you everytime you use it. Nuisance duplicating contacts…. There are a few bugs…….The main problem is that it duplicates if you don’t fully understand how to set it. My contacts went from 400 + to 17k plus. Also everytime I try to manually sync the program asks me to verify my purchase and I have to go back to the Apple Store and log in then go back into the program and attempt to do it again. 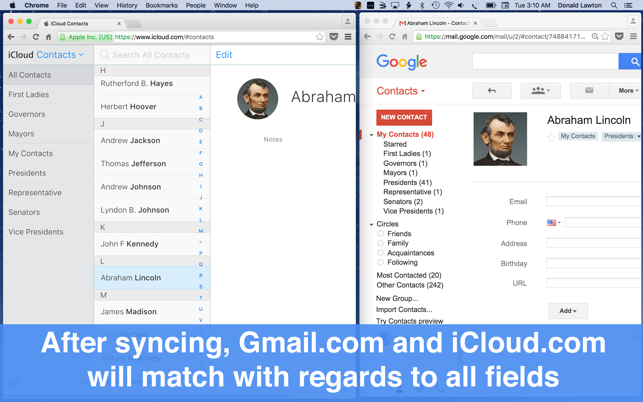 Please send me a support email at contactssyncforiphone@gmail.com, if you haven't already. 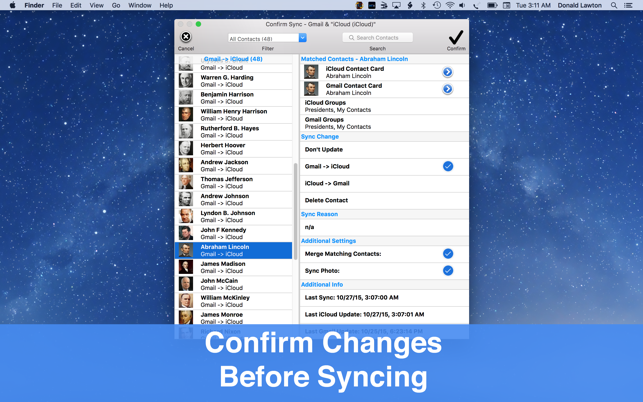 ( 3 ) After syncing I always get the task done !! That’s an important point !! Really a great app !! Excellent app. One drawback is a limit google places on syncing- 100 per sync.